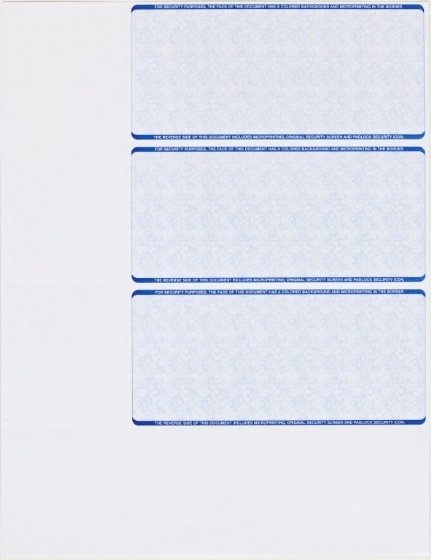 Wallet-size general purpose checks are perfect for paying multiple bills quickly. For all you explorers out there, this is for you. They will even fit in a carry-on. Compatible to use with inkjet or laser printers. Each page comes with 3 checks. On vacation and need to pay bills? No problem – pull out these handy checks and your laptop and print checks easily.